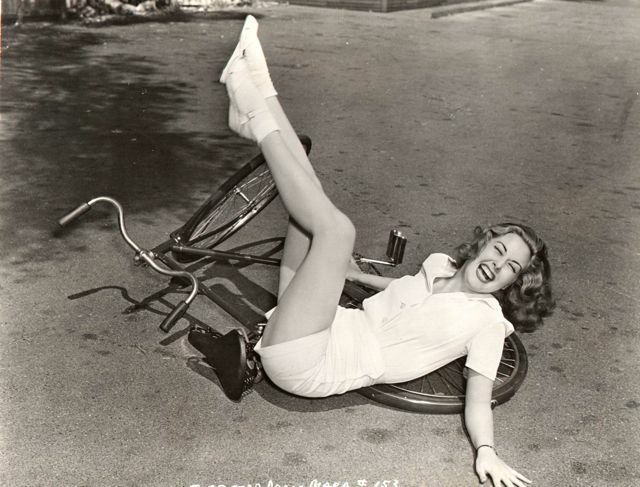 Adele Mara falls from a bike. Adele Mara takes a tumble, and doesn’t seem to mind. The actress plays Rita Hayworth’s kid sister in the 1942 Columbia musical, You Were Never Lovelier. Photo: Don English.